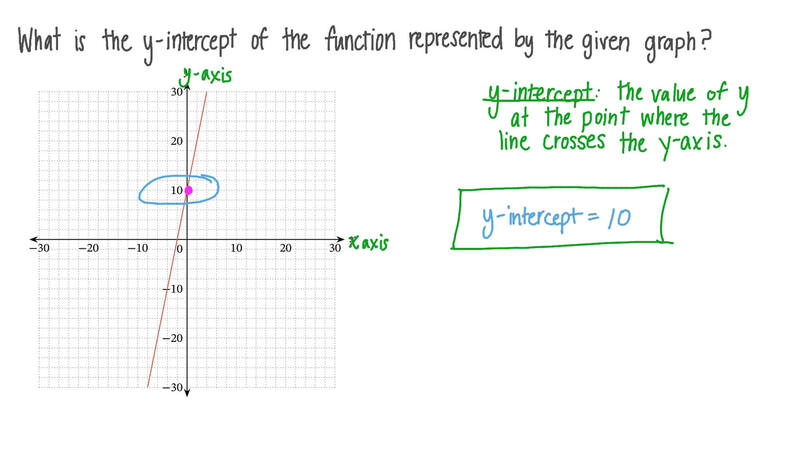 In this lesson, we will learn how to find the intercept of linear equations using the graph of the equation. What is the 𝑦 -intercept of the function represented by the given graph? Which of the following functions has a greater 𝑦 -intercept? CThey have the same 𝑦 -intercept value.